This article is part of our Valuation by Business Model series, in which we provide you with information on what makes your particular business model unique when it comes to valuation. For more in-depth reading on valuation, see our post How to Value a Website or Internet Business. Software as a Service (SaaS) is a unique and growing industry, and one that requires special considerations when it comes time to selling. As the market-leading advisor for SaaS business sales, the team at FE International answers questions every day about the best practices of selling a SaaS business and which SaaS metrics should be measured. In this post, we leverage our experience and insights from more than 50 of our SaaS sales to take a deep dive into SaaS valuation and salability, providing the definitive resource on selling a SaaS business. Are you interested in selling your SaaS business? Fill out this short form and get a confidential valuation. How to value a SaaS business is perhaps one of the hottest and most ambiguous debates among small business entrepreneurs, investors and advisors at the moment. When valuing a technology business, the first question is whether to look at a multiple of SDE, EBITDA or Revenue. Stories of wildly high revenue multiples for unicorn SaaS businesses can seem at odds with the modest earnings multiples for smaller SaaS businesses, which serves to confuse the information in the marketplace. So which one is right? The answer is both, but they are entirely different investment propositions. The difference between the two situations comes down to the size and growth of the businesses in question, as we explore in depth below. Most small businesses valued at under $5,000,000 are valued using a multiple of seller discretionary earnings (SDE or sometimes also called seller discretionary cash flow) particularly if they are relatively slow growing and do not have a management team in place. SDE is the profit left to the business owner once all costs of goods sold and critical (i.e. non-discretionary) operating expenses have been deducted from the gross income. Crucially, any owner salary/dividends can be added back to the profit number, too. SDE is used for small business valuation to demonstrate the true underlying earnings power of the business. Most small businesses are owner-operated and somewhat owner-reliant and therefore have an associated owner salary and expenses. The owner is likely to pay themselves a salary for the work – which may not be correlated with the market rate and pay several personal items through the business for tax efficiency. These are acceptable addbacks to reflect the true earnings power of the business. The situation changes though as businesses grow larger.In bigger companies, there are more employees and more management personnel. Similarly, the ownership structure tends to fragment with several shareholders who typically play a less active role in the business, often hiring a general manager or CEO to oversee operations. In this situation, any owner compensation or discretionary expenses should be reflected back into the business to show its true earnings power. A new benchmark of earnings before interest, taxes, depreciation and amortization (EBITDA) is employed. In acquisitions with companies with over $5,000,000 in value, EBITDA multiples are almost exclusively used throughout the industry. For most businesses, the valuation benchmark debate stops there. Either SDE or EBITDA is considered the best proxy for the business’ future cash flows and is therefore the basis of its valuation. For SaaS companies, however, the EBITDA being generated today – which could be zero – is not always a good proxy for potential future earnings. This is because growing SaaS businesses make significant upfront (and sunk) investments in growth, which are all expensed in current EBITDA. Owing to their recurring revenue model and assuming customers stay with the business, the profit in the future will expand significantly as the business matures and spends relatively less on these items. Measuring revenue makes sense for a growing SaaS valuation, buts it is very important to note that this valuation philosophy is entirely based on growth. If the SaaS business does not grow then the revenue is not there to support the forecast profit in the future, which is what the valuation is actually based on. Is the business reliant on the owner? Are revenues growing less than 50%+ YoY? Does the business generate <$2,000,000 revenue per year? An answer of “yes” to any or all of the above means the SaaS business is one for a valuation using SDE. Investors will likely appraise the business based on this benchmark alone and apply a multiple to arrive at the final business valuation. If the answer is “no”, EBITDA or revenue might be more appropriate. This leads to the next question, how to decide the multiple? The multiple is one of the most important pieces of the equation and is affected by dozens of factors related to the business. Those factors span a wide variety of financial, traffic and operational aspects, but ultimately it boils down to the sustainability, scalability and transferability of the business. Any operational or market factor that directly or indirectly impacts these core drivers will influence the multiple. 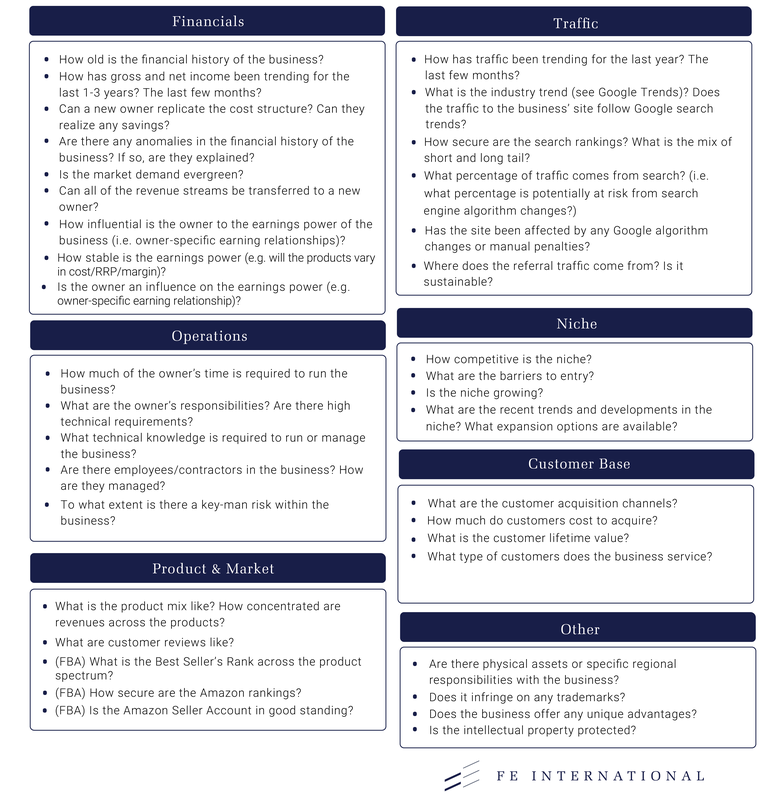 This is a short summary of the questions and factors involved in a full SaaS business valuation. We typically analyze 80-100 areas benchmarked against 40,000 – 50,000 data points before arriving at a firm valuation. We also look at DCF modeling, historic price and revenue regression analysis for completion. Ok… But How Much Is My SaaS Business Worth? SaaS businesses typically fall within the 3x – 4.75x annual profit (SDE) range, and this can be determined by a large number of SaaS metrics. Churn and other SaaS metrics. Age of the business:A SaaS business with a longer track record demonstrates that it has proven sustainability and is also easier to predict in terms of future profit. Businesses that are 2 years old are the preferred entry point, and at 3+ years they start to receive more of a premium multiple. Younger businesses are still sellable, albeit to a slightly smaller investor audience that may have a higher risk tolerance. Owner involvement:Part of the appeal of running a SaaS business is the potentially passive and predictable nature of the income it brings. Businesses that require relatively little time and have a team in place are more attractive than those that require a lot of owner work. Outsourcing can help here (more on that later). The other dimension to this is the technical involvement of the owner. If an investor must replace an owner that is performing a highly skilled role, this will either increase the replacement cost or put off non-technical investors, which reduces overall demand for the business. Trends: Few investors aspire to acquire a SaaS business that is declining, and correspondingly few owners want to sell a SaaS business that is growing rapidly. The key is to sell a business that is trending consistently and, ideally, modestly upward. Naturally, the faster the business is sustainably growing, the more the multiple will stretch toward the premium end. Churn: It is well documented that customer metrics are of vital importance for SaaS business owners and consequently they are of great interest to investors. Churn, lifetime value (LTV) and customer acquisition cost (CAC) are analyzed by investors when appraising the customer base and by virtue the quality of the business’ revenue. While the general valuation drivers above are a key consideration, it’s important to note that every SaaS business is unique and each has its own priorities in terms of metrics. As the valuation process goes deeper, more business model-specific factors come into play when determining the final multiple. Which SaaS Metrics Matter Most? Investors looking to buy a SaaS business are looking for points of strength and differentiation. To determine the points of strength and differentiation, investors will often look at a few key metrics. Let’s explore the most commonly evaluated metrics in SaaS valuation. 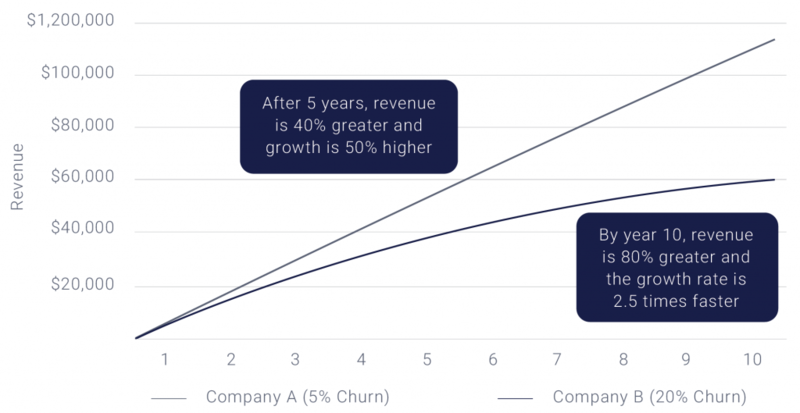 Churn is a significant driver of valuation because it touches upon all the key factors that impact the perceived future cash flows of a SaaS business. The importance of this metric should not be underestimated when you consider the long-term impact on the business. Taking the following example of two companies with 5% and 20% annual churn, the corresponding revenue after 10 years is markedly different. Provided there is a consistent flow of new customers at an acceptable cost of acquisition rate, low churn will allow recurring revenues to grow, improving the growth rate and reducing the risk of value loss over the long term. A high churn rate has all the inverse effects and can also say to investors that the product does not adequately fit the customer’s needs, sits in a market with limited demand or there are stronger competing products. This would imply that the product requires further development at their expense. The importance of churn is widely accepted. However, it is less easy to find consensus on the acceptable rate of monthly revenue churn for SaaS businesses. Here the line again blurs between smaller, SDE-valued SaaS businesses and the larger EBITDA revenue-valued VC-funded SaaS businesses. Bessemer Venture Partners, an investor in VC-funded SaaS businesses, says an acceptable churn rate for these is in the 5 – 7% range annually (0.42 – 0.58% monthly). This is also supported by Pacific Crest’s Private SaaS Company Survey that shows roughly 70% of surveyed large SaaS companies had annual churn in the <10% range, with 75% of those at 5% or under. Contrast this with GrooveHQ’s SaaS Small Business Survey, which profiled 712 smaller SaaS businesses with an average MRR of $10,500 and found the average monthly churn rate was 3.2% (annualized that is 32.2%). Similarly, Open Startups sampled 12 companies with an average $18,900 MRR and found a median monthly customer churn rate of 5.4% (46% annually) and monthly revenue churn of 11.2% (75% annually). So why the substantial difference? It comes down in large part to which customer segment the business is targeting. To begin with, most SaaS businesses focus on servicing the needs of small to mid-sized businesses. Small businesses have lower demands and less sophisticated needs, so this is an easier point of entry than enterprise-grade software. The challenge though is that smaller customers tend to have higher churn rates. Generally speaking, SMB customers tend to alternate SaaS products more regularly because switching costs are low and are more likely to go out of business. This latter point is also vital to the difference in churn between cash-rich and cash-poor SaaS businesses. The cash on hand that enterprise-level and VC-backed SaaS companies have to spend on sales and client retention personnel versus what is available to smaller, owner-operated SME-facing SaaS businesses is not comparable at all. So where to end up? We took data from a sample of the last 25 SaaS business acquisitions at FE International ranging from $250,000 to $20,000,000 in value across a variety of niches in both B2B and B2C SaaS. We found a monthly customer churn range of 1.0% to 11.0%, with an average of 4.7% (annualized 43.9%). The higher churn businesses tended to be those in very competitive niches and those aimed at shorter term or seasonal usage (e.g. recruitment). Higher churn is almost a fact of life for smaller SaaS businesses. The focus for investors should in part be on improving the churn rate where possible but more fully placed on customer acquisition to replace those churned customers. The Customer Acquisition Cost (CAC) is the total marketing and sales cost to acquire one additional customer. Obviously, the lower this number is the better, as that would mean you are spending less to acquire customers. However, there is no magic number when it comes to CAC because each SaaS business is going to be different. To make an apples-to-apples comparison we first need to incorporate an additional metric – Customer Lifetime Value (LTV). LTV is the average amount of revenue that is earned from a customer throughout the time they are paying for the service. The higher the LTV is the more valuable each new customer is to the business. Just like CAC, there is no standard LTV number. Once again, the number will vary depending on the business model, market, competition and a multitude of other factors. In order to truly get the most use out of these two metrics we must compare them to each other. In doing so, we will get a ratio that will quickly tell if a business is making more revenue per customer than it is spending to acquire that customer. This allows us to measure the return on investment of marketing efforts and determine if the growth strategy is working. The general rule of thumb is that an LTV/CAC ratio of 3 is ideal for most SaaS businesses. This will allow for enough cushion to account for a dip in the LTV or an increase in the CAC and still be able to generate a healthy gross profit margin. In small- and mid-market, self-funded SaaS businesses, the temptation is to sell reduced priced annual plans to increase top-line revenue and improve cash flow to reinvest into growth. While in many situations this is necessary, from a valuation perspective it will hold the business back. The same goes for selling lifetime plans – these are a big no-no when it comes to increasing the value of a SaaS business. This is often the opposite of what an owner of a SaaS business will look to do, especially when looking for growth capital. Even if it slows growth, focusing on selling monthly plans is key to achieving higher valuations. Data from deals completed by FE indicate that MRR is valued around two times higher than equivalent revenue from lifetime plans, so this can often outweigh the benefits of the short-term cash flow boost. The average SaaS business sold by FE over the past decade had a 5:1 ratio of MRR to ARR – this is an ideal mix to aim for to maximize valuation. Generally, these products will have annual plans priced 10-20% less than monthly plans and years of ARR churn data. SaaS products with a higher ratio of annual plans would see a lower valuation as the revenues are less predictable. Aside from the SaaS metrics just touched on, there are various other important factors that need to be considered in the valuation process. We took data from the last 25 SaaS businesses sold at FE, ranging from $250,000 to $20,000,000, and pulled out some of the common threads of premium SaaS valuations. Acknowledging the higher rate of churn that small- and mid-market, SME-facing, SaaS businesses experience, customer acquisition is understandably a focal point for evaluating the longevity of these businesses. If the business is losing 30-50% of its customers per year, the only option is to add a significant number of new customers each month to counteract the loss (at least in the short-to-medium term). The customer acquisition channels of a SaaS business are thus of great importance to investors, who tend to evaluate these in terms of concentration, competition and conversion. ● Concentration. In our experience, a premium SaaS business will acquire customers from a multitude of channels, be it organic search, affiliate, paid or otherwise. Having a diversity of channels not only reduces the dependency on one channel but also proves its monetization in multiple ways. SaaS businesses that have successful organic and paid channels benefit from this premium with investors. Naturally, many small- and mid-market SaaS businesses build their customer acquisition from content marketing before exploring paid and affiliate channels. It can be a worthwhile experiment to trial the 3-6 months ahead of an exit to see whether they yield positive ROI. Not only will this improve the value of the business’ earnings (and thus the SDE for valuation) but it will demonstrate to investors that the business can be monetized in multiple channels. ● Channel Competition. The defensiveness of each acquisition channel is of interest to investors when evaluating their strength. If the business has a strong backlink profile and ranks well for a high number of relevant keywords this is considered a strong, defendable platform for organic customer acquisition. Conversely, if the business is engaged in price-wars in paid search with competitors, this is understandably considered a weaker acquisition channel. Search “project management software,” for example, to see ads for several different well-funded companies competing for the term. Small- and mid-market SaaS business trying to outbid in that niche will suffer a short-lived PPC lifecycle. ● Conversion. The ultimate appraisal of customer acquisition channels are the associated conversion and cost attached to each. Here the conversion-to-trial ratio and conversion-to-paid ratio are carefully eyed by investors, as well as the associated CAC. To summarize, a premium SaaS business is one that has multiple customer acquisition channels with high defensiveness and solid conversion metrics for each. Eventually all software needs development to keep up with customer requirements or to grow the business further. A product’s development roadmap can be dictated by a number of factors, including customers, competition or even the owner’s ambition. While every SaaS business is unique in its development requirements, when the business comes to market, it is generally best practice to have the product in a high point of its development life-cycle, or in other words, not requiring a major update any time soon. This gives the new owner some runway ahead of any major development and provides some comfort that the current management has not simply given up on the business and is passing over ownership at a time when the product needs care and attention. 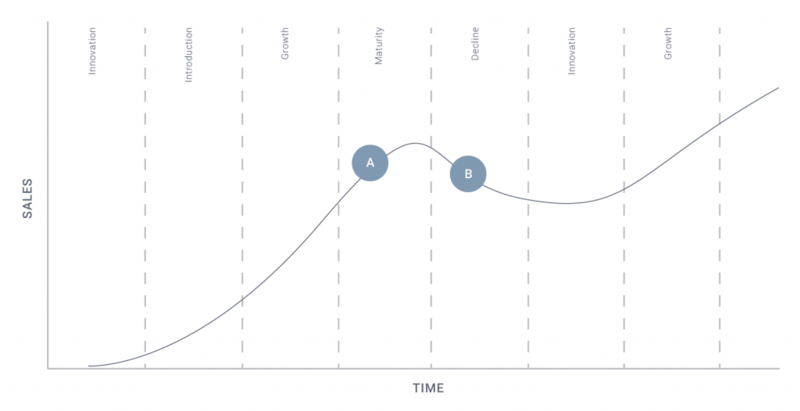 In the diagram above, it is the equivalent of selling at point A, where the software is maturing, and point B where the software has aged too much and is in need of development to promote further sales. As mentioned briefly, the amount of owner involvement in the business and particularly the nature of the work can be a sensitive valuation factor for SaaS businesses. At first this might seem counter-intuitive to a SaaS entrepreneur. More technical input from the owner (i.e. development) suggests a sophisticated product, which implies unique IP and a high-quality product. All of the above could be true, but an investor still needs to either be able to do the same work themselves or pay for someone else (usually at a high cost). Factoring this into the SDE will ultimately lower the valuation. One might be tempted to instead pursue investors that can readily resume the same responsibilities themselves (i.e. purely seasoned SaaS business owners) but this can reduce the pool of available investors significantly. To put it into context, of the last 25 SaaS acquisitions at FE International, 64% were acquired by investors that would describe themselves as non-technical. This is especially true as valuations surpass $1,000,000. SaaS businesses that therefore have the burden of development work on reliably outsourced contractors will benefit from a perceived easier transfer of ownership and a greater pool of investors as a result. Competition in the niche is of great interest to investors when evaluating a SaaS business. Clearly the level of competition is important to understand for any business acquisition, but this is especially true in the SaaS space. In SaaS it becomes of acute interest because of the generally higher number of VC-funded players in the industry and the high development costs associated with the business model. Small- and mid-market SaaS business in a highly competitive niche will tend to find itself under-funded and unable to compete with the development efforts and features of better-funded, VC-backed SaaS companies. The SaaS businesses that achieve a premium are almost always products that are prepared for growth at scale. What Can You Do to Increase the Value of Your SaaS Business Before a Sale? An exit strategy for any business is crucial before a sale. You can add hundreds of thousands of dollars of value to a business by taking the right steps before a sale. Naturally not all the valuation factors are addressable (e.g. competition in the niche) but there are a number of strategic moves you can make to increase the value of your SaaS business before a sale. Below we discuss six key topics to think about in the run-up to the sale. Pigford discusses a suite of tactics that helped reduce churn at Baremetrics, including, controversially, blocking the ability for users to self-cancel. A highly interesting read. Turnbull discusses an interesting, analytics-based approach to reducing churn by analytically detecting when a customer is about to cancel their account and pro-actively step in and try to prevent it. A number of larger SaaS companies talk about the importance of on-boarding, and Price’s authoritative post discussed in detail the refinements that SaaS owners can make to customer onboarding, including feature education and upselling. As touched upon in the valuation drivers above, there is both a ‘passivity premium’ and a non-technical premium that can be attached to SaaS businesses that have effectively and reliably outsourced development and customer support. The focus here should be on effective and proven outsourcing. A haphazard attempt to move customer support to an unproven call center in the Philippines will not be regarded favorably. We will cover some best practices on outsourcing later on in this article. It might seem obvious, but a surprising number of business owners fail to properly secure their intellectual property ahead of a sale, which can have detrimental effects on the transaction later on. Securing IP is very important for SaaS businesses, particularly for transactions of >$500K where the cash check being written starts to become significant. Ideally this should have been pursued in the early stages of the business’ development but there is no harm in retroactively applying for a trademark ahead of a business sale. You can do this through the United States Patent and Trademark Office. Trademarks tend to be easier, shorter and less expensive to apply for than patents. Securing IP doesn’t just stop at trademark filing. Any individual that was involved in writing code or developing the product should be asked to sign an IP assignment for their work. This is particularly relevant to contractors hired from freelancer marketplaces as well as any other third-party company used. This is a standard due diligence request for larger ($500K+) larger SaaS sales but is worth securing right from the outset on any sized business. A well-documented, annotated and tested source code is a distinguishing factor of premium-valued SaaS businesses. Particularly on the upper end ($500K+), well-documented code is almost a must-have for investors that are looking to scale the business into 7-figures and beyond. It can be a deal-killing issue and is one that is readily avoidable through adequate preparation ahead of coming to market. Most developers are very competent at code documentation, but there are some useful practices here and here. As we looked at above in the product lifecycle analysis, where the product is at in its development cycle when it comes to market is important to investors and influential on the exit multiple. Business owners plotting a sale should think about planning their next major upgrade 3-6 months ahead of going to market. This has a number of short and medium-term benefits. First, it brings some immediate additional earnings to the current owner, assuming a positive uptake and increase in trials for new customers. Second, it lifts the earnings figure (the SDE) which forms the basis of the sale valuation. Third, assuming a positive take up, it will create positive customer feedback and potentially PR as well. Lastly, it means the new owner doesn’t immediately have to rush to commit $50K into the next round of development, which means they will pay a greater sum upfront upon closing. Tempting as it can be for some business owners, launching an unprecedented sale of annual plans to book a large amount of revenue ahead of a sale is not a wise strategy. Sellers have been known to do this to inflate the valuation ahead of a sale and to generate additional cash. Unfortunately, all buyers see through this strategy and either discount the relevant months or steer clear of the sale entirely. Unserved portions of packages sold on annual plans are often rebated to a new owner, so this is a pointless exercise. The key to a successful exit is to continue to run the business in a similar fashion in the months before and during the sale. If a sale is seasonal (e.g. Black Friday), that is an acceptable event to run a discount. If it’s outside of normal proceedings, its best to avoid discounting altogether. Salability: How Attractive is Your SaaS Business? Ahead of going to market, you’ll need to look at the salability of your SaaS business, or rather, how attractive it looks to buyers AND how attractive it is to own. This is broader than just the fundamentals discussed thus far, it comes down in large part to the operational setup. You’ll need to have detailed financials for your business in order to prepare for a sale. Accounting applications, such as QuickBooks, can be a big help, but make sure your accounting is up to date – and keep it that way as you enter the sale process. Details are key, and so is organization. Serious buyers are unlikely to sift through months of financial records and tax returns to determine whether the investment is worth it. Luckily, a good broker can assist you in this process. You should also be prepared to give prospective buyers any analytics you have for past and current ad campaigns, email data and website traffic. Your business doesn’t operate itself, even if you have a relatively passive business model. Prospective buyers will need to know the responsibilities involved in your operation, so document all of your daily, weekly and monthly processes and procedures. This will make the transition faster and easier for both of you. Moreover, buyers may be more inclined to pay a premium for businesses with well-documented operations, so this step could easily translate to a higher profit for you. There are some useful software applications for writing standard operating procedures (SOPs) quickly like SweetProcess and some useful guidance online about writing best in class documentation. The good news is you don’t need to calculate these yourself. The SaaS analytics industry has a number of great solutions for business owners including Baremetrics (for Stripe), ChartMogul (for Stripe, BrainTree, Recurly and PayPal) and FirstOfficer (for Stripe) to name a few. Make sure to integrate these with your merchant processor well in advance of a sale, to capture the relevant historical data before going to market. Note: ChartMogul has a useful tool for loading past data too! The prospective buyer for your business is not necessarily looking for a job, so if you’re able to reliably outsource tasks to agencies, contractors or virtual assistants, do it. Online businesses that are more passive in nature tend to sell at a higher price than those that involve more work on the owner’s part. Remember the ‘power of passivity’: it’s a potentially huge value driver for the sale of your business. Owners who can successfully remove themselves from the day-to-day of their business often find that they benefit from a higher valuation once they’re ready to sell. Virtual assistants can be very useful in this regard and we’ve discussed effective hiring and delegation here. If you’ve done the legwork developing a new feature and creating a marketing strategy around it, it can be worthwhile holding off on releasing before a sale. The addition of a brand new product or revenues will need 3-6 months of history to move a valuation higher (this is not unique to SaaS businesses). A smarter strategy is often to use this as leverage to gain stronger offers off the existing valuation and get a higher cash consideration upfront. This can often offset the perceived lost profit from delaying the release of the new product or upgrade. With the business primed for sale and a solid valuation in mind, it’s now time to turn to your exit options. Marketplace – Through networks like BizBuySell or BizQuest, owners can list their business for sale, similar to classified ads or Craigslist. Auction – See which buyer will bid the highest through this platform. Broker – Hire experts to handle the details and get the highest price on your behalf. Direct – Take the cold approach and handle the details yourself. Selling your SaaS business on a marketplace means preparing information on your business and posting a listing in order to generate interest from buyers that peruse the listings. A popular marketplace is BizBuySell. Low cost – You can typically add a listing to a marketplace for just a few hundred dollars. Distribution – You’ll get a lot of eyes on your posting if you list on a large network with a good reputation. Low demand – Marketplaces serve a high volume of listings daily and standing out from the crowd is often a problem. Most buyers perusing the listings look for listings with brokers (who use them as well) as they know the listings are likely pre-vetted. At FE International, our average listing gets only 18 inquiries from third-party platforms, from our own network it’s 300+. Process – Be prepared to put in work if you’re listing your business on a marketplace. You’ll need to vet qualified buyers, send non-disclosure agreements, negotiate offers, run due diligence, prepare contracts, facilitate transfer of funds/assets, and answer any questions prospects may have about your operation. In other words, there’s a lot of room for error if you don’t have experience selling businesses. Time – The average marketplace sale takes six to nine months to complete. Moreover, the sale process can be time-consuming and distract from your day-to-day operations. Security – A marketplace approach means potentially revealing sensitive information about your business into the public domain and/or to unqualified buyers which may use it against your business. Selling your SaaS business in a marketplace can be a good idea if you have prior experience in the sale process, expertise in SaaS metrics and the time to carry it through. If you don’t, this option is time and work intensive. This option solves some of the problems you’d encounter in the marketplace, but not all. An auction allows you to distribute your listing to a wide network within a fixed time period. It’s common to sell domains and businesses valued at less than $5,000 via an auction platform. Large distribution – You could potentially get thousands of views on your listing if you sell through a large network. Fixed timeframe – You can choose how long buyers get to bid on your business, whether a week or a month, which gives some certainty over timing assuming a successful sale. Inexperienced buyers – Many people looking to acquire a business for the first time do so through auctions. Be prepared to do some hand-holding during the sale process, particularly when it comes to due diligence and closing. Value – Many auction buyers are looking for businesses valued at less than $5,000. The typical multiple for sales via auction is 0.5-1.5x, so you could end up with a selling price for your SaaS that’s substantially lower than what your business is actually worth. Process – As above, you are responsible for running the process end-to-end. This is likely going to take up quite a lot of your time. Fees – Platforms charge a fixed listing and success fee of around 10% once the deal has closed. This is more than a marketplace fee and about the same as a broker, only you’ll get little support. If you’re trying to quickly sell a small business and have some experience in the arena, an auction could be a suitable option as long as you’re satisfied with a lower valuation and less secure (more public) process. Using a broker to sell your business is the best bet if your SaaS business is worth more than $20,000 or if you need expert help managing the details of a sale and getting the best value. A good broker will facilitate the whole sale process, including developing marketing materials, contacting prospective buyers, negotiating offers, completing due diligence, drafting the contract and coordinating the transfer of assets or funds through escrow. Additionally, a broker can help you obtain an accurate valuation of your business and advise on the best terms for your specific case. 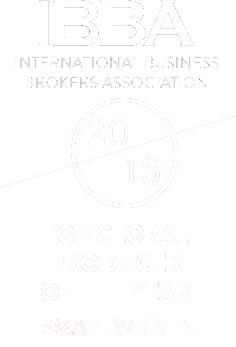 Large distribution – You’ll benefit from a broker’s network of qualified buyers who have experience in business sales. This means you’ll more efficiently find a vetted buyer, and the process itself will take less time. Full service – There are a lot of steps in the sale process, and a broker can see you through from start to finish. Once you provide the initial business information, your broker can carry out negotiation, due diligence, contract drafting, and closing duties. This will save you a lot of time as a business owner. Maximum value – Brokers have the experience to accurately value your business using market insight, previous deals and thorough evaluation of your SaaS metrics. They can help you weigh your offers and negotiate to find your best deal. Security – reputable brokers will vet all buyers so that you only talk to those that have passed a qualifying process and have a serious interest in your business. Brokers will have tried and tested processes and will use secure data rooms to ensure your IP, data and other key items are securely stored throughout. Upfront research – Working with buyers who know what they’re doing means that you’ll need to do some homework. Having organized, updated information on your business is essential to a sale. Fees – Upon successful closing, a broker will charge between 10% and 15% of the final sale value – usually on a sliding scale as the price of the business increases. This fee will likely be offset by a higher valuation gained by selling through an expert and the time saved. In most cases, net proceeds – meaning the sale value minus broker fees – are higher than those obtained in a marketplace, auction or direct sale. Here’s a good example of Tim Seidler who sold his business with FE International for $100K more than he thought his business was worth. Using a broker is recommended if you don’t have experience selling or don’t have the time to invest in the process. Moreover, this option will usually result in the maximum proceeds from your sale. Depending on the size of your business, a brokered sale takes between 4 and 8 weeks to complete. You can read more about how the process works here. The final option is to handle the sale on your own. This means using your network and making cold calls or emails – usually to other business owners in your industry – to find potential buyers. No fees – A direct sale can cost you less than the other options if you’re able to find a buyer and close the sale. However, you’ll likely end up paying fees for legal advice. Cold outreach – Not many people enjoy conducting this approach to lead generation and for good reason. Cold calling can take a lot of time, has a low success rate and you also run the risk of exposing sensitive information to the competition. Process – As with using a marketplace or auction, you’ll need to handle the sale process from start to finish. Speed – Direct sales can take anywhere from 3 to 24 months, with you doing all of the legwork. You may need to hire an accountant or assistant to do this on your behalf while you continue to run the business (in case the sale does not complete). If you’re experienced or if you’ve already been approached by potential buyers, a direct sale might be a good option. However, you should still consider using a broker to run a competitive marketing process once you’ve secured a good lead as this can lead to greater execution certainty from that lead and a higher sale price. Here’s a chart for easy reference of the pros and cons of each method of sale. How Do I Determine What My SaaS Business is Worth? Now you know all about valuation, exit strategy and sale options for your SaaS business, the best way to get a good sense on how much your business is worth is to speak a broker. They will be able to calculate your profit (SDE) accurately and advise on the applicable multiple based on their assessment of the business and previous transactions. A good broker will give you the best advice on exit strategy and timing, irrespective of whether this is in their short-term interest. The best advice might not be to sell right now, instead to do three things to lift the valuation and come back in 3-6 months with a more valuable business for sale. That’s a win for everybody. Great article, Thomas. Very detailed use of real data here. Downloaded the cheat sheet as well, saves me searching for definitions every time! Thanks! Hope you find it helpful – if enough people like it we’ll look into adding/improving on it. Thanks Shawn. Yes, there is a lot of misinformation out there! Good information! Clearly well researched, and I always love an in-depth, well-researched article. Great work! This was a very insightful post to a question that many of us founders wonder the answer to. Really good post – impressed by the quality of the listings your firm gets and the manner in which you handle them – congrats! Thanks Dave – glad you found it useful and thanks for the kind words! Comprehensive article. Thank you ! Very nice article, good frameworks to structure the discussion. One thing potential sellers and buyers should know about SDE: “owner compensation” includes not only salary, bonus and retained profit, but also personal expenses run through the business — quite common for small business owners. Hi Mark, yes this is true. We will always put together SDE numbers from what a seller provides to us as a raw P&L, so generally no need to do that yourself as usually just causes confusion. Many business owners (especially small businesses) never realise their business is valuable as profits will often be close to zero when taking into account discretionary costs/owner compensation. Have formulas, key terms and definitions in an easy-to-reference one-page format.